An international online survey promoted by the European Federation Of Crohn’s And Ulcerative Colitis Associations (EFCCA) with the Scientific Support of and international team of experts led by Professor Antonino Spinelli, M.D., Ph.D. and Professor Francesco Pagnini, Psy.D., Ph.D.
As many of you may remember, this important project was presented at the EFCCA General Assembly in 2013. The aim of this study is then to investigate the subjective perception of the surgery, together with its relationship with the quality of life in people with IBD. EFCCA is aware that this topic is a very important one and the survey can be a further step forward to better understand what people with IBD believe and would like to achieve in terms of a higher quality of life. This online survey may lead to better explore expectations and fears of people with IBD in the hope of offering a clear picture to specialists, and to have a stronger voice about our future and our choices. As previously mentioned, this is an international online survey whose participation is open to all our people enrolled in one of the national members. The only inclusion criteria will be the diagnosis of IBD. People with IBD who have already attended surgery, as well as those who may (or may not) attend it in the future, are allowed to join the study. 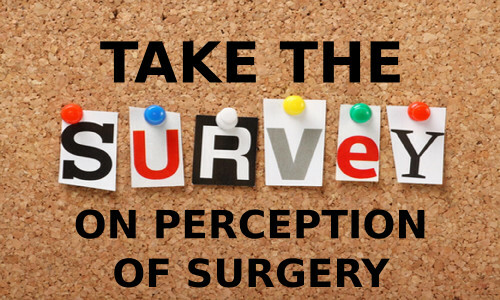 Items from the questionnaire deal with the personal experience of surgery including perceptions, opinions, fears, and prejudices. The entire survey will require 15-20 minutes to be completed. Currently, the survey is only available in English; however, translations into other languages are on the way. If you do not feel comfortable with English, please feel free to send an email to: efcca.ceo@gmail.org mentioning your preferred language among French, German, Spanish, or Italian, and you’ll be contacted when the translation is available. Study participation is completely voluntary. Participants may choose to withdraw at any time and are free to skip any questions that they do not want to answer. There are no risks associated with participating in this study. Identifiable information will not be stored and data will be used for scientific publication only as aggregate. Deadline will be fixed once all translations will be made available. Thanks in advance for your participation!